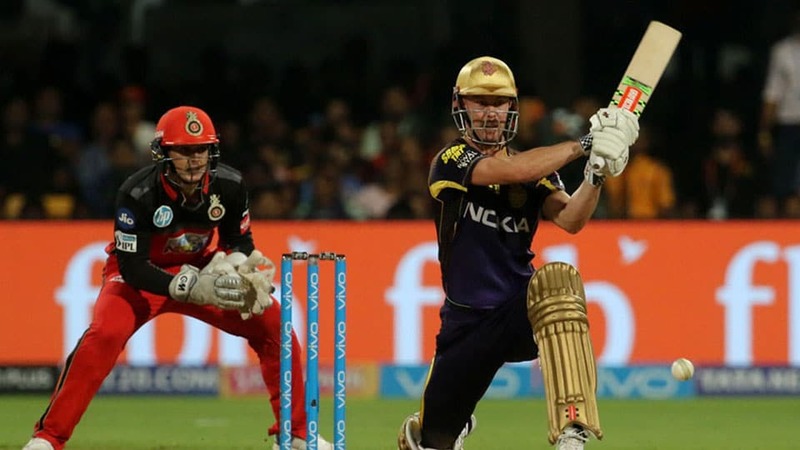 Opener Chris Lynn anchored his innings to perfection as Kolkata Knight Riders (KKR) were back to winning ways with a comfortable six-wicket win against Royal Challengers Bangalore (RCB) in an IPL encounter last night. Chasing a competitive target of 176, KKR reached the target in 19.1 overs with Lynn scoring an unbeaten 62 off 52 balls with seven fours and a six. KKR captain Dinesh Karthik relishing his new found role as a finisher, played his part with a 10-ball-23 to make it easy in the end. KKR with eight points remained in fourth place while Virat Kohli’s men slumped further with their fifth defeat in seven games. Sunrisers Hyderabad (SRH) produced a bowling masterclass defending their 151 runs after beating Rajasthan Royals (RR) by 11 runs in the IPL yesterday. Siddarth Kaul (2/23), Sandeep Sharma (1/15) and Yusuf Pathan (1/14) bowled well for Hyderabad and helped their team edge Rajasthan in a last-over tie. Rajasthan skipper Ajinkya Rahane remained unbeaten on 65 runs but couldn’t take his team towards victory. Sanju Samson (40) supported his skipper but a lack of partnerships after his dismissal didn’t help Rajasthan’s cause. Earlier, a stellar bowling display in the final overs by Rajasthan helped them restrict SRH to 151/7. Krishnappa Gowtham gave Rajasthan a solid start after dismissing Shikhar Dhawan for six runs in the third over. After his dismissal, SRH skipper Kane Williamson (63) continued his fine form with a solid fifty. He was ably supported by Alex Hales (45) to help his team post a decent total. However, Rajasthan took control of the proceedings with some fine bowling by Archer (3/26) and Krishnappa (2/18).